The Nov 2017 Basic Training students practicing their powder-fill eyebrows, and eyeliner on a practice head. 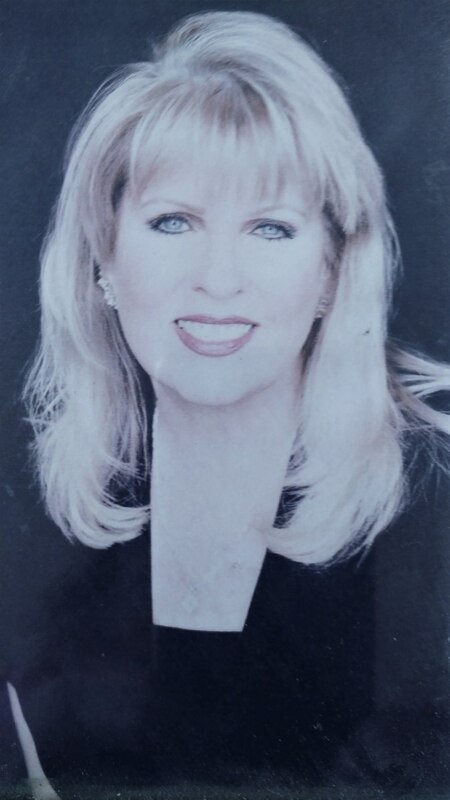 The American Institute of Permanent Beauty & Rejuvenation is a leading Permanent Cosmetic educational organization, founded by nationally distinguished Karin Downes. One of nation's foremost experts in the field, her expertise as a Permanent Cosmetic educator has made her training highly sought-after. Thank you for taking an interest in the exciting and lucrative Permanent Cosmetic field. 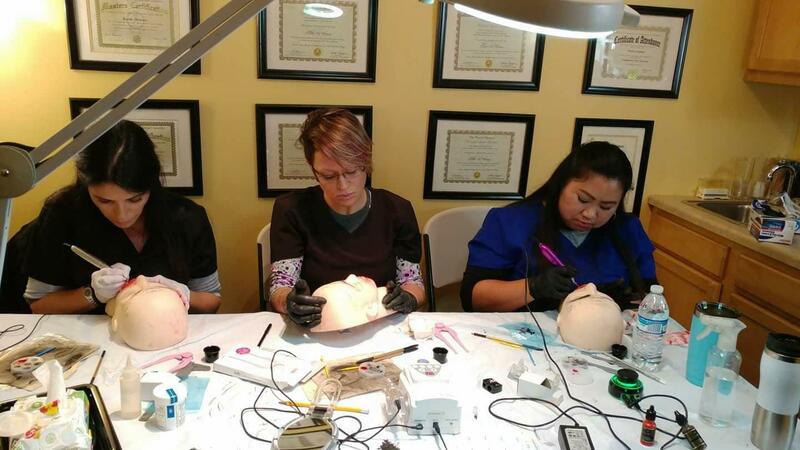 It has been a very exciting and rewarding field for me, so I am looking forward to starting you on the path to a wonderful future in Permanent Cosmetics. There is much that you can achieve in this field, limited only by your imagination and desires. Each class has comprehensive Theory training, as well as hands-on experience and offers students the opportunity to be able to advance to the next level of training in the field. Classes are scheduled by appointment and are limited to only five students for Theory and one student per trainer for the hands-on portion. Since size is so limited, a non-refundable pre-payment of tuition is necessary to reserve your class space. Once your registration and tuition is received, you will be sent the instruction manual, which will help you in preparing for class. Once you complete the class you will receive a certificate of completion as well as technical phone and e-mail support and will be able to order supplies directly from distributors. Our Basic Training Course is a 100 Hour (5-Day) course which includes 50 hours of one-on-one private classroom instruction and hands-on application theory. 50 hours of pre-class at home study. Successfully perform a minimum of two eyeliner, two eyebrow and two lip liner procedures. Successfully pass the Student Exam by a score of 75% to receive a Certificate of Completion. Upon completion of the class, you will receive a Certificate of Completion which will allow you to be insured and to participate in memberships of organizations as the AAM (American Academy of Micropigmentation) or the SPCP (Society of Permanent Cosmetic Professionals). Our Intermediate Course is a 3-Day course. It is for Permanent Cosmetic Professionals who want to take their career to the next level. Students must have completed the Basic Training Course. Our Skin Needling Course is a 1-Day course. Students must have completed the Basic and Intermediate courses. Models are used in class for all hands-on procedures done by students and all work is closely monitored and supervised by the Instructor. All local students must furnish their own models. If the Institute has to provide models when students can't, there is a $100 charge to the student additionally for each area the model has done. Models will be charged a $100 fee per area for the cost of supplies and my instruction of the student. We always need models, so if you know anyone who might be interested please contact the Institute. They will receive quality procedures at a greatly reduced price.